Wow, and to think invisible ink and black lights used to be exciting… Dezeen has a great post about the annual report you have to bake in your oven in order to read… 25 minutes at 100 degrees to be precise. Croatian creative agency Bruketa & Zinić designed this annual report for food company Podravka - within the larger book there is a small booklet that is inserted inside the big one that contains the very heart of Podravka as a brand: great Podravka’s recipes. “To be able to cook like Podravka you need to be a precise cook. That is why the small Podravka booklet is printed in invisible, thermo-reactive ink. 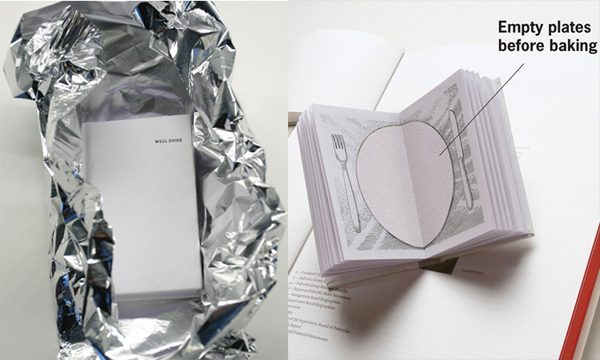 To be able to reveal Podravka’s secrets you need to cover the small booklet in aluminium foil and bake it at 100 degrees Celsius for 25 minutes.” The best part? For the imprecise or lazy… the book will BURN if overcooked, like any meal. That is absolutley amazing…does anyone know how i can get hold of one? I am FD graphic design student and would love this for research! WOW! Thats AWESOME! I want one! that is so cute! 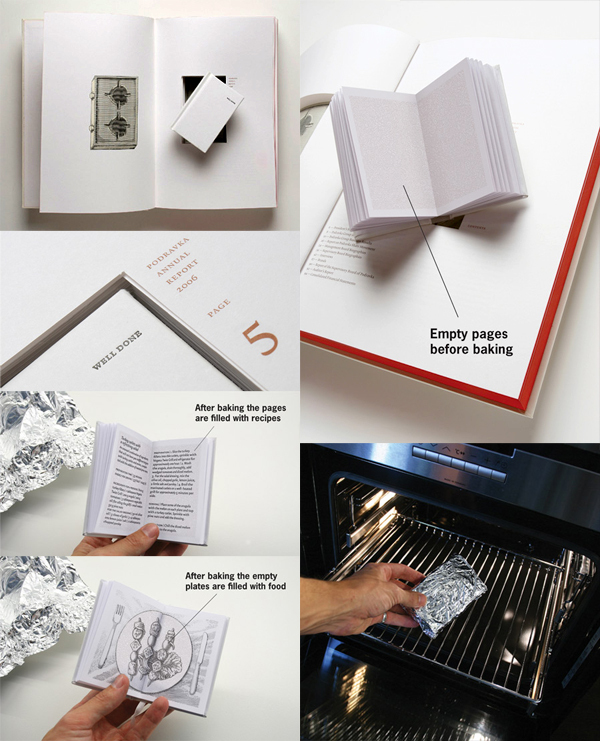 All cookbooks should be like that! That you can only see the words after spreading lemon juice all over.